Before we can actually install htop, we firstly need to install Repoforge (previously RPMForge), which will act as a repository from which we can get the files. Open up an SSH session. Log in with your root user log in credentials. 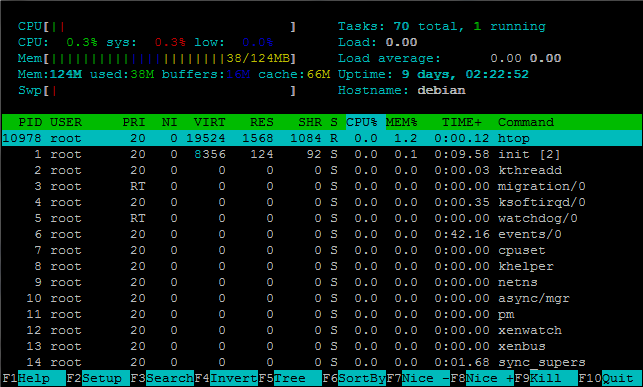 To run htop, type “htop”. If you wish to quit htop at any point, press F10. We don’t recommend enabling additional repositories on servers with WHM/cPanel, as this can cause problems. Instead, you can use wget to get the RPM from http://pkgs.repoforge.org/htop/, then use the rpm -i command. More information on htop can be found here. Share the post "How To Install htop on Linux"